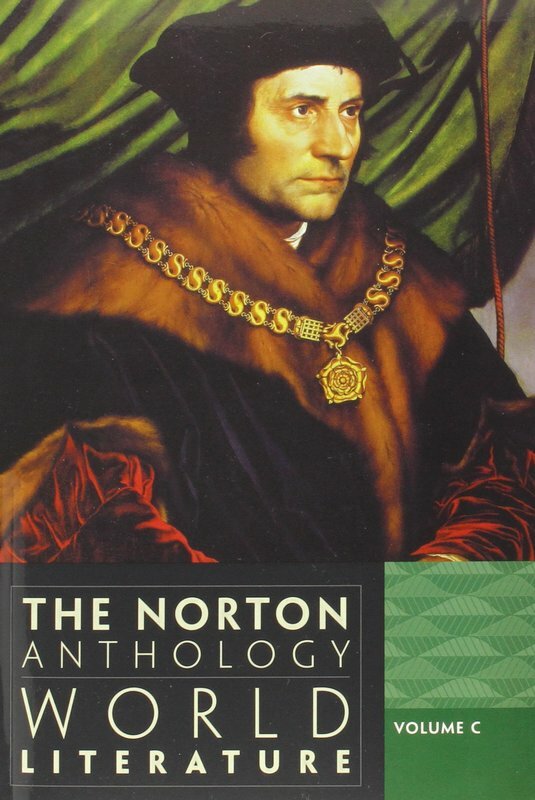 Norton Anthology of World Literature in the news. Led by Martin Puchner of Harvard University, the new editors of the Third Edition are experienced classroom teachers as well as accomplished scholars. For help in selecting the best texts and translations and revising the editorial apparatus for the twenty-first-century classroom, the editors solicited the advice of more than 500 world literature instructors and expert counsel from a world-class team of regional specialists. The result is an anthology that a scholar can respect, that a teacher can assign with confidence, and that students can read and study with pleasure. The Third Edition now includes several thematic teaching “clusters” that bring together a number of short texts around an important cultural theme, such as “Creation and the Cosmos,” “Travel and Conquest,” “Literature about Literature,” “God, Church, and Self.” These clusters give instructors and students short counterpoints to or elaborations on the themes and topics covered in the anthology’s major works, and they also provide direct textual support of broad historical or cultural contexts that are described in the part introductions or individual headnotes. Dozens of works and translations are new to the Third Edition. Every section of the anthology contains new and interesting selections, while retaining the most-often-taught works from editions past. New translations have been chosen wherever doing so might help to bring the work to more vibrant life for students or to make teaching the work easier for instructors. New to the anthology’s final volume are authors from around the world: Akutagawa Ryunosuke, Kushi Fusako, Lao She, Ch’ae Man-Sik, Constantine Cavafy, Octavio Paz, Julio Cortazar, Paul Celan, Sadat Hasan Manto, James Baldwin, Vladimir Nabokov, Tayeb Salih, Carlos Fuentes, Mahmoud Darwish, Seamus Heaney, Ama Ata Aidoo, V. S. Naipaul, Ngugi Wa Thiong’o, Bessie Head, Kenzaburo Oe, Salman Rushdie, Jamaica Kincaid, Hanan Al-Shaykh, Toni Morrison, Mo Yan, Niyi Osundare, Nguyen Huy Thiep, Isabel Allende, Zhu Tianxin, Junot Díaz, Roberto Bolaño, J. M. Coetzee, and Orhan Pamuk. The Third Edition’s twentieth-century selection is now unmistakably global. Based on the editors’ own teaching experience and at the urging of hundreds of world literature instructors, all of the anthology’s editorial support has been rebuilt from the ground up. Every introduction and headnote has been newly written to be more direct, accessible, and easy to navigate. All 28 maps in the anthology are new and are integrated into the introductions so that they can be referenced in context. The timelines have been gathered into a single, attractively designed feature at the back of each volume. Every part introduction and thematic cluster is now illustrated to provide visual interest and context. A four-color insert in each volume focuses on a single but wide-ranging theme—texts and textuality—bringing to life the colorful history of writing, manuscript illumination, and the materiality of literature.